Sports, water activities and all types of outdoor recreation depend upon top visual skills. In addition to crisp eyesight, you need excellent depth perception, eye-hand coordination and peripheral awareness. Our optical technicians will match you to the best specialized eyewear in Buckhead. Whether you play racquetball, go SCUBA diving or spend your leisure time hunting, our eye care team will examine your vision and recommend the most appropriate eyewear. With consideration for your particular sport or hobby, our eye doctors will customize your eye exam in Buckhead, GA. We may use tests to inspect your vision while in motion outside, or while you’re interacting with other objects or players. Computerized exams with 3D, holographic images are very helpful, as well as automated testing that measures your reaction time. At the Family Eye Care Center of Atlanta offer an extensive selection of specialty eyewear, and you may need more than one pair of eyeglasses to suit all of your requirements! 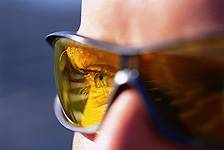 In addition to safety glasses for sports, we also feature eyewear to protect your eyes from extended computer use. Driving glasses, designed with polarized lenses to diminish glare, are another popular item. Customized tints are also available to enhance contrast for sharp vision in all weather conditions. If your occupation involves hazardous work, such as using power tools, we have a variety of safety eyewear to recommend. Whatever your sport or hobby, make sure that you are protecting your eyes and achieving optimal performance with the right pair of specialty eyewear. Contact us today near Buckhead to set up a specialty eyewear consultation.